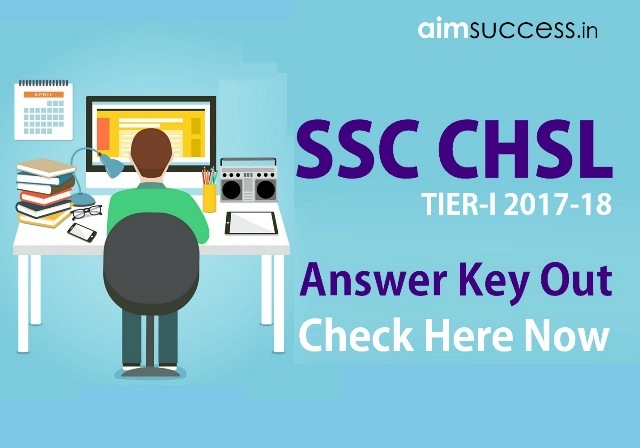 SSC CHSL Tier-I Answer Key 2017-18: SSC(Staff Selection Commission) has released the Answer Key of SSC CHSL (Combined Higher Secondary Level) Tier-I Examination, 2018. CHSL Tier-I Exam 2018 had conducted from 4th March to 28th March 2018 in the Computer Based Mode. Candidate may submit their representations, if any, from 20.04.2018 (6.00 P.M.) to 23.04.2018 (6.00 P.M.) through on-line method only, on payment of Rs.100/- per answer. SSC CHSL [Tier-II] will be scheduled to be conducted in 8th July 2018.